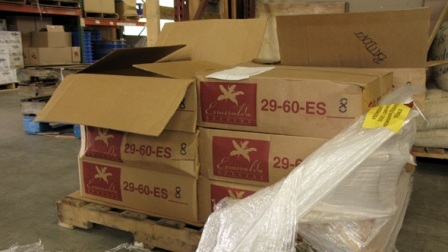 The Panama Esmeralda is in Olympia – Next Stop, Pittsburgh! This is the Batdorf and Bronson roastery in Olympia. This is our Panama Esmeralda coffee! Yeah, it’s really here! If you don’t remember, back in May, Batdorf and Bronson and Tazza D’Oro participated in the Hacienda La Esmeralda green coffee auction to buy one of the finest coffees grown in the world. Batdorf and Bronson will be doing the first roast of the Esmeralda on Monday, August 4th. We expect to have it at Tazza D’Oro on either August 6th or 7th. Guess who’s making plans to go to Olympia for the first roasting of the Esmeralda? Over the next few weeks we will be doing a lot of blogging about this coffee, scheduled cuppings and how you can purchase it at Tazza D’Oro. This is gonna be fun! It will be wonderful to see you here in O-Town!